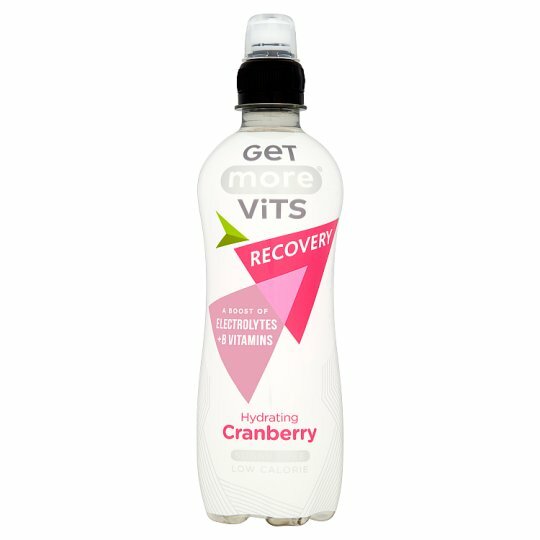 Low calorie hydrating Recovery drink with a boost of Vitamins (B1, B3, B5, B6, B7, B12, C) and Electrolytes (Sodium, Magnesium & Potassium). Hydrating formulation to deliver spring water and electrolytes to aid hydration and B vitamins for energy release to help you Get More from your workout without adding calories. WARNING: CHOKING HAZARD This cap is not suitable for children under 3 years. Don't re-use the packaging.